The flow field analysis of complex aerospace vehicles/configurations is currently heavily dependent upon modern computational tools. These tools have become an important part of modern aerospace vehicle design and development process. DMS Technology, Inc. has vast experience, exceptional skills, and possesses state-of-the-art CFD tools to provide solutions to complicated flow problems for the Department of Defense, NASA, and private enterprise. A variety of problems requiring aerothermodynamic analysis using myriads of engineering and CFD codes has been accomplished by DMS technical personnel. 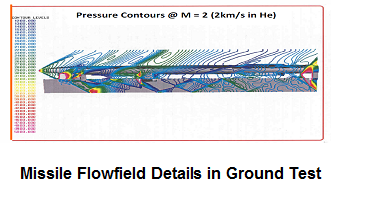 Provided here are some 3D flowfield and aerothermal computations using a CFD code. DMS utilizes various thermal analysis codes including SINDA Advanced Thermal Modeler to perform thermal analysis for space systems and defense applications. SINDA uses an approach using a conductor-capacitor network representation for complex structures to perform thermal analysis that offers a powerful way of solving thermal problems. The purpose of this area of work is to provide damage tolerance analysis (DTA) of the fracture critical parts associated with the Ares 1 Upper Stage Vent/Relief Valve. An additional purpose is to indicate any exceedances that may have been concluded in the analysis and recommend mitigation to pass the part for damage tolerance. DMS uses industry-standard hydrodynamic codes where coupling varies from completely Lagrangian to complete Eulerian, and which also contain a separate Advanced Lagrange-Euler formulation (ALE) module. Tracer particles can be used to monitor the kinematics and record the time histories of data like displacements, velocities, mass, etc. at specific spatial or material points. 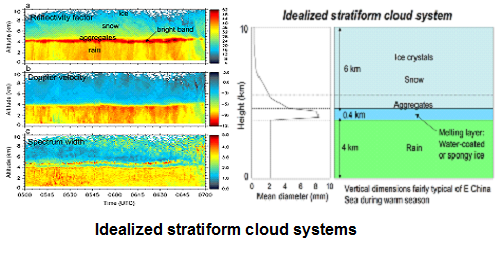 This work is geared towards to determine the weather conditions that produces the hydrometeors of various shapes and sizes. 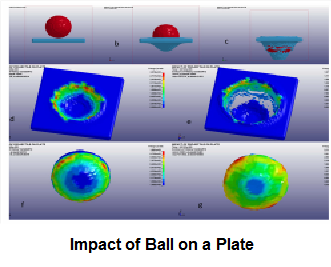 These particles are responsible for the impact damage that they will impart on high speed projectiles. The damage itself is determined by hydrocode analysis.